The first week of the Alberta general election campaign is now behind us, and still very little data on voting intentions has been published. You can find the list of Alberta polls on this page. Note that the Mainstreet Research Alberta tracker terms forbid reproduction of its numbers (they are behind a paywall), but they are included in this projection. 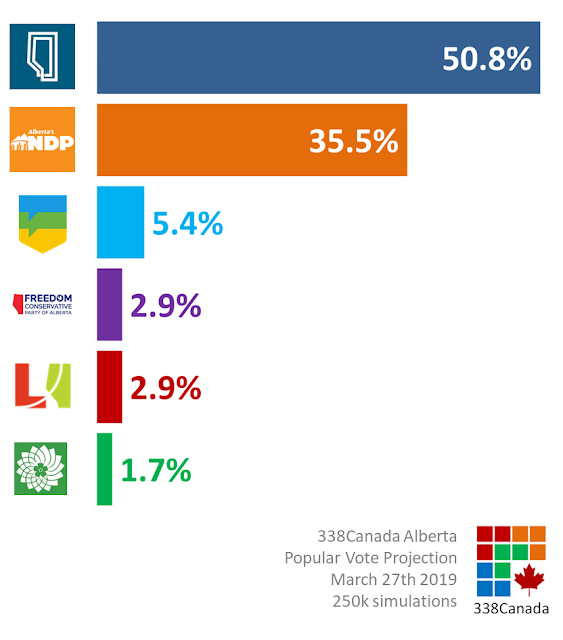 Here is the 338 Alberta Projection for March 27th 2019. The United Conservative Party still leads the NDP by double digits with an average of 50.8% of voting intentions. 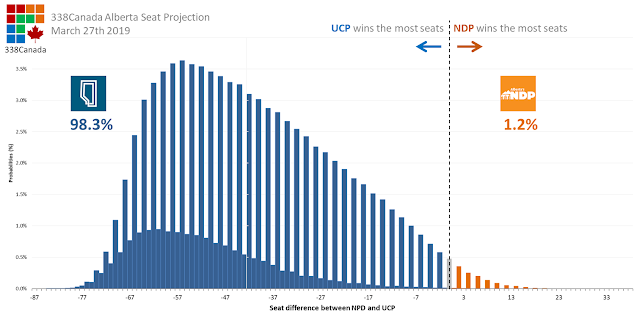 It appears, at least for now, that the UCP has consolidated most of the PC and WRP support from 2015. 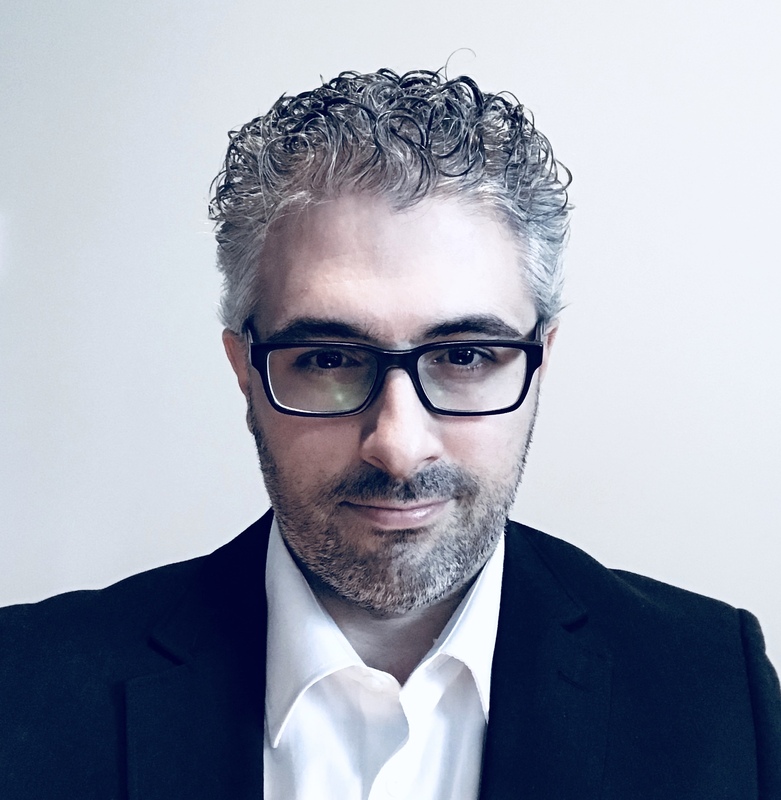 Rachel Notley's NDP gained three points in the past week and now stands at an average of 35.5% (up from 32,3% last week). The road to reelection still looks bleak for the Alberta NDP, most of its support being concentrated in Edmonton and some parts of Calgary. 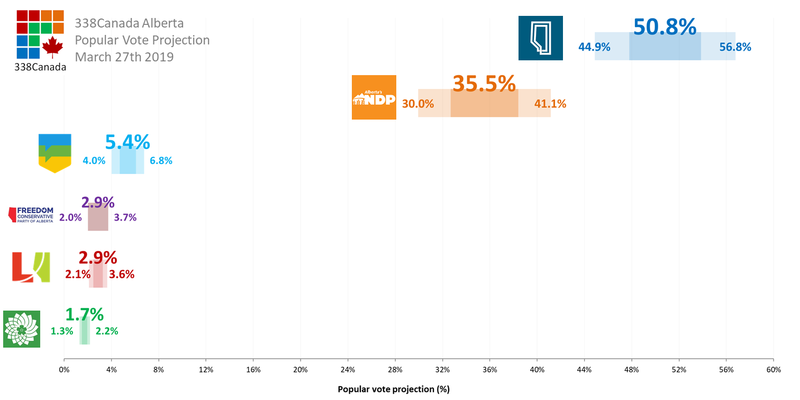 Most of the NDP gains this week appear to come from the smaller parties. The Alberta Party has an average support of 5.4% and is projected to win only one seat, most likely Calgary-Elbow. With such support across Alberta, the UCP wins an average of 64.5 seats over the 250k simulations ran by the 338 model. 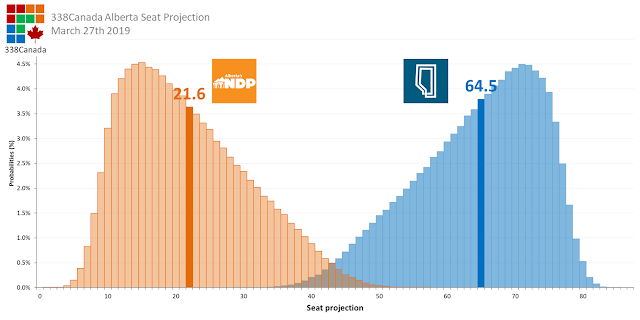 The NDP wins an average of 21.6 seats. 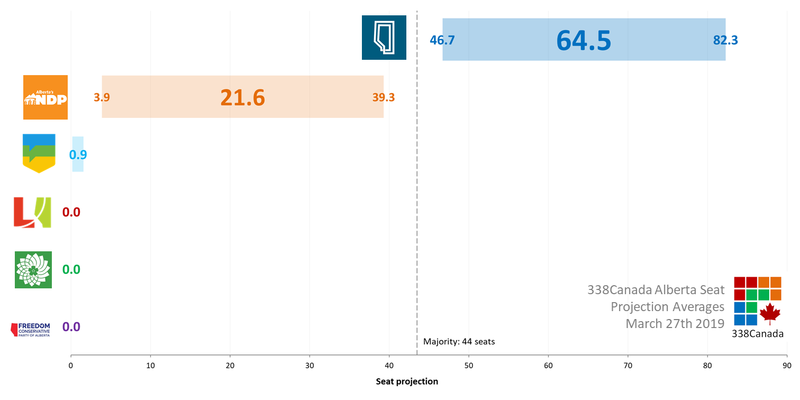 The threshold for a majority at the Legislative Assembly of Alberta is 44 seats. (Why are there "gaps" in the graph above? 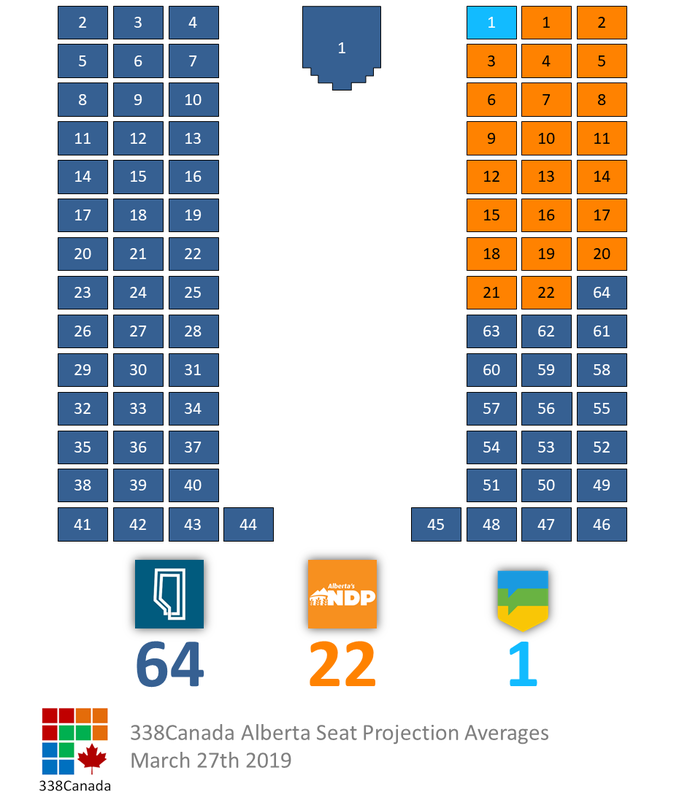 The Alberta Party wins one seat in most simulations, leaving 86 for both the UCP and the NDP. When the sum of two numbers is an even number [in this case 86], those two numbers are automatically both even or both odd. Since the difference of two odd numbers or two even numbers is always an even number, the odd number columns are much shorter - meaning less probable). New updates coming soon. Have a great Wednesday!